River Tour in Bangkok. Cruising down the Chao Phraya river and enjoy the unblocked view of Bangkok is truly a unique experience. The choices are many and as individual as you. Canal tour in Bangkok. A scenic two-hours program that brings out the most of Bangkok river life. 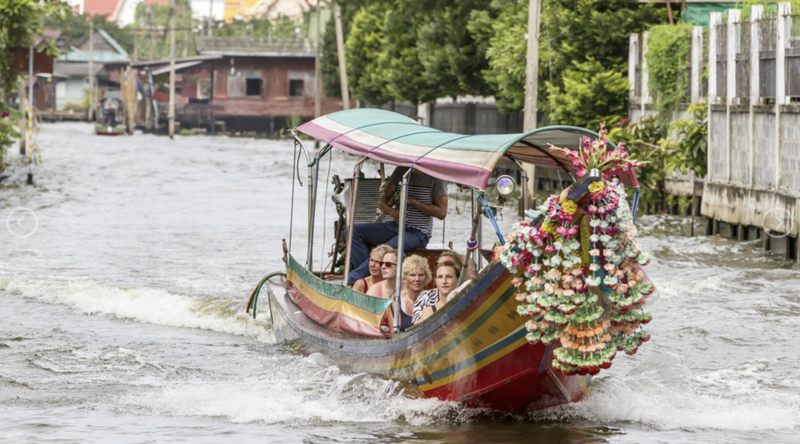 Hop on a long-tail boat or a speedboat and visit canals that run through Bangkok. Then join us on our Rice Barge Cruise and enjoy refreshing welcome drinks. We serve more than enough tropical fruits and desserts while you enjoy the river view. You'll see historical and modern settlements along the river including the Grand Palace and Temple of Dawn. SIAM RIVER CRUISE Co., LTD.